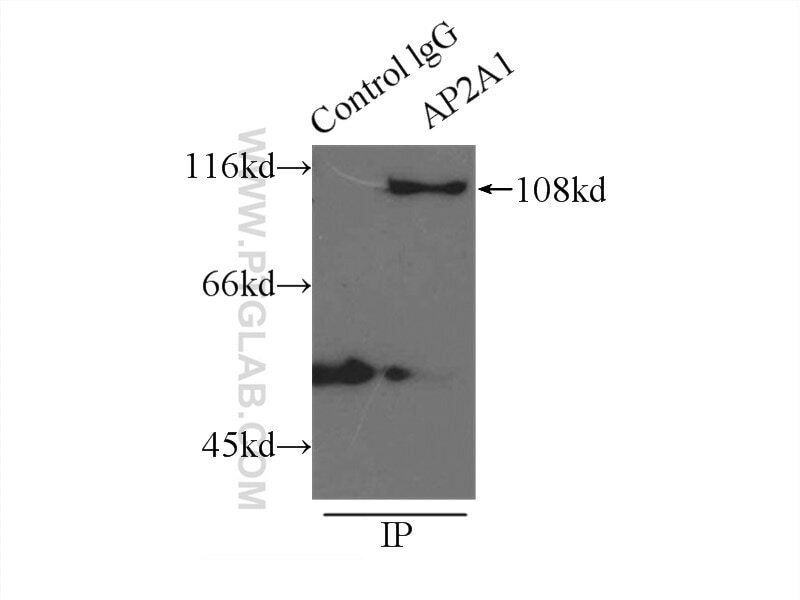 IP Result of anti-alpha Adaptin (IP:11401-1-AP, 3ug; Detection:11401-1-AP 1:1000) with mouse skeletal muscle tissue lysate 3500ug. AP2A1 encodes adaptor protein complex 2 (AP-2) subunit alpha-1, which is a 100 kDa coated vesicle protein. Adaptor protein (AP) complexes are cytosolic heterotetramers that mediate the sorting of membrane proteins in the secretory and endocytic pathways. AP complexes are involved in the formation of clathrin-coated vesicles (CCVs) by recruiting the scaffold protein, clathrin. AP complexes also play a pivotal role in the cargo selection by recognizing the sorting signals within the cytoplasmic tail of integral membrane proteins. AP-2 is involved in clathrin-dependent endocytosis. Numb regulates vesicular docking for homotypic fusion of early endosomes via membrane recruitment of Mon1b. 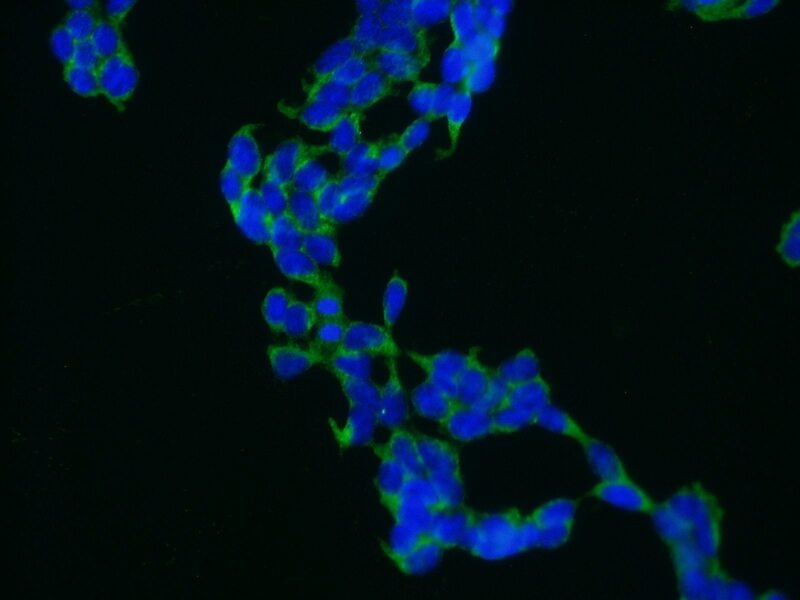 Alterted SLIT2/ROBO1 signalling is linked to impaired placentation of missed and threatened miscarriage in early pregnancy. 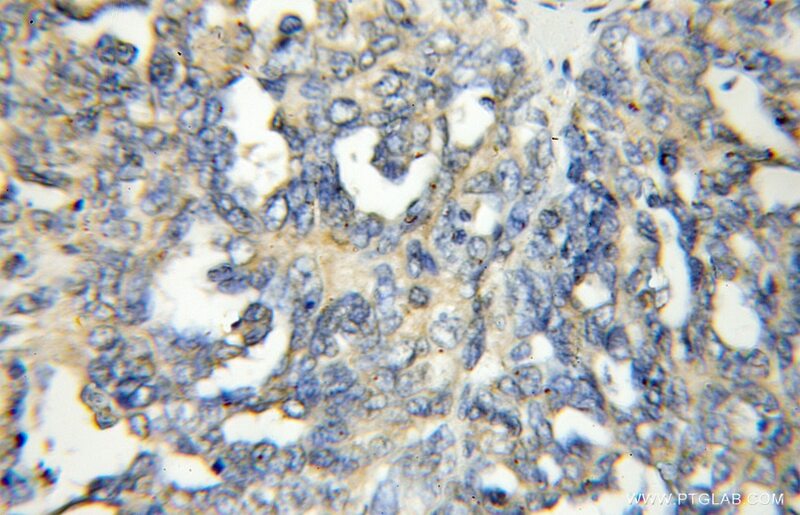 Speckle-Type POZ Protein Down-Regulates Matrix Metalloproteinase 2 Expression via Sp1/PI3K/Akt Signaling Pathway in Colorectal Cancer.